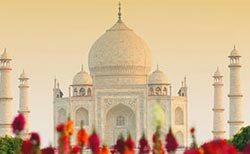 The most important issue in shipping to, from or within India currently is the new India Tax reform scheduled to take effect July 1, 2017. This new tax structure will have a direct impact on logistics providers and cost structures. Whether shipping full container loads (FCL) to India, or shipping less than container load (LCL) shipments to India, this new law will impact ultimate cargo and logistics costs. Currently, each of India’s 29 states taxes the goods that move across their borders at various rates. As a result, freight that moves across the country is taxed multiple times. The Indian government is about to roll out the new indirect tax program, GST, which has been in the works for over 12 years. The consumer durables sector is expected to witness maximum drop in the logistics costs as a percentage of total sales, as their warehouses are built in certain specific states to avoid interstate tax. Consumer-oriented industries are going to realize a higher impact from GST on their operations model rather than capital intensive industries, since they will work with cheaper labor and travel further to markets. As individual companies react to the changing of the law, the long-term economics of doing business efficiently outweigh the economics of where to be located to avoid being taxed. It remains to be seen what the ultimate impact will be on the economy or the country, but DGX predicts the Indian Government will rise to the challenge and make adjustments where needed to ensure a single industry does not become the poster child for unfairness. Post-GST implementation, most 3PLs will have to restructure their assets and realign their operations with changes in the operations of their customers in the new scenario. Currently, many 3PLs have warehouses located near major distribution centers of their key clients (different industries) irrespective of geographic disadvantage, mainly to avoid interstate taxes. However, post-GST implementation 3PLs are expected to build integrated warehouses at logistics suitable locations. So accordingly, 3PLs will have to restructure their assets to accommodate the long distance consignments which will occur with this scenario of free movement of goods across the country. The consumer durables sector is expected to witness maximum drop in the logistics costs as a percentage of total sales, as their warehouses are built in different states to avoid interstate tax. Mostly, the consumer-oriented industries are going to have the highest impact of GST on its operations model rather than capital-intensive industries. How this will impact the freight rates with a change of cargo movement from direct to each state versus to regional DCs (spoke-hub distributions) is yet to be determined by carriers. The DGX India headquarters in Mumbai is ready to take on these changes and provide our customers with added-value solutions as they evolve in their supply chain based on these reforms. GST is a single, indirect tax for the whole nation, which will make India one unified common market. It's a single tax on the supply of goods and services, directly from the manufacturer to the consumer. Credits of input taxes paid at each stage will be available in the subsequent stage of value addition, which makes GST essentially a tax only on value addition at each stage. The final consumer will thus bear only the GST charged by the last dealer in the supply chain, with set-off benefits at all the previous stages. The Goods and Services Tax (GST) will be levied at multiple rates ranging from 0% to 28%. The GST council finalized a four-tier GST tax structure of 5%, 12%, 18% and 28%, with lower rates for essential items and the highest for luxury and de-merits goods that would also attract an additional “cess.” In India, "cess" is an import or sales tax on a commodity. In order to control inflation, essential items including food, which presently constitute roughly half of the consumer inflation basket, will be taxed at zero rate. Ultra-luxuries, demerit and sin goods (like tobacco and aerated drinks), will attract a cess for a period of five years on top of the 28% GST.